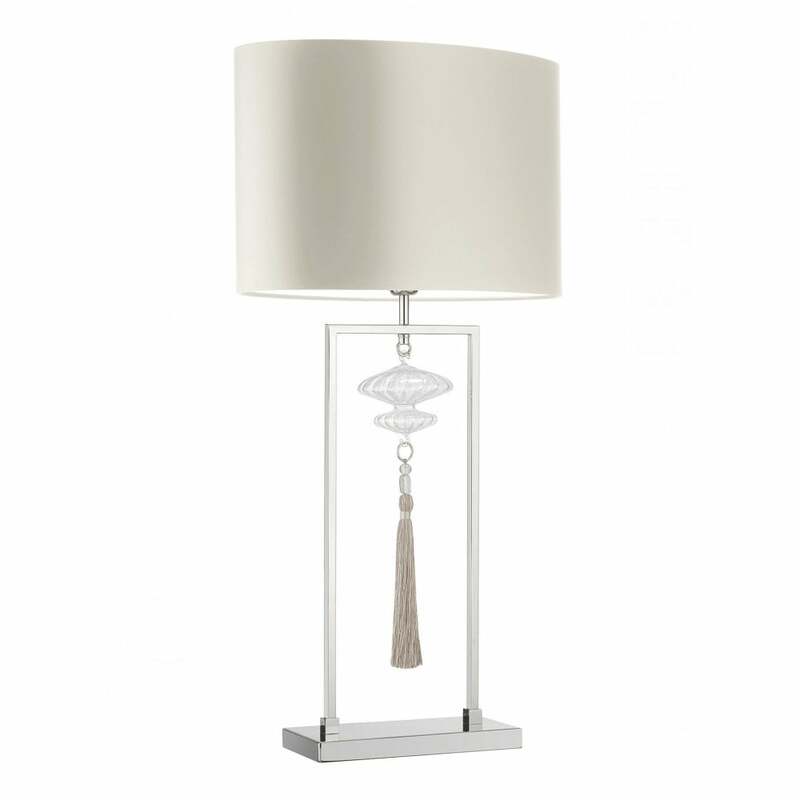 Manufactured in the UK, the Constance Table Lamp by Heathfield & Co will add a glamorous touch to a bedside table. Featuring hand-blown glass globes and a decorative coloured tassel, this lamp is framed by structured nickel metalwork. Available in two colourways - Opal Jade and Rich Purple. An oval silk, cotton or linen shade completes the look. Make an enquiry for more information. Priced for 18" Oval shade in silk with white PVC lining. Please contact us for other options.